With the national student loan debt at $1.5 trillion, the starving college student is no longer a cliche. While struggling to make ends meet can lead to desperation, nobody should be desperate enough to join a multi-level marketing scheme like Vector Marketing. Around the William Paterson University campus, there are posters that promote jobs with an hourly pay rate of $18.50. The links to apply to these promising positions are usually summerjobs4u.com or jobs4collegestudents.com. The lack of a company name in these links is not an accident. With one Google search, countless pages come up exposing Vector Marketing for the scam that it is. 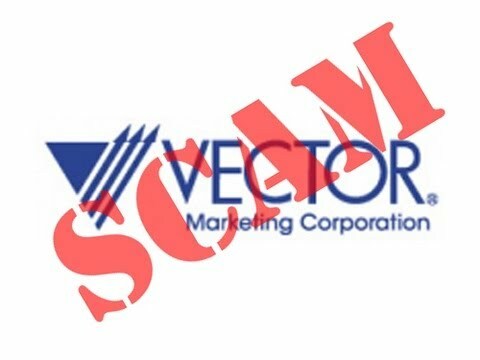 Vector Marketing was founded in 1981. It is a multi-level marketing subsidiary company of Cutco Corporation, a cutlery company. Conspicuously absent from their mission statement is any mention of payment and the need for recruiting a downline. While the famous scene from “The Office” gives a wonderful description of a pyramid scheme, investopedia.com defines it as, “… an illegal investment scam based on a hierarchical setup.” To make any money in this business model, employees must recruit people who would report to them and thus take a cut of their sales. Companies that follow a similar pyramid scheme include, but are not limited to, Mary Kay, Younique, doTerra, Young Living and Lularoe. These companies sell products such as makeup, essential oils and clothing. Being an employee of said companies requires you to badger your friends and family on social media to buy your cheaply made products. Conveniently, Vector Marketing has not released an income disclosure form. For doTerra, an essential oils pyramid scheme, 90 percent of its distrusters are losing money. After the cuts of the sales are distributed to everyone in the pyramid, the yearly take home is a paltry $375. In 2003, a Vector Marketing recruit successfully sued the company for not adhering to New York labor laws. Aside from the lawsuits, Vector Marketing has a page on its website titled, “Are we a scam? No.” Simply having a webpage with such copy should be enough to deter anyone from joining. Of the 2,500 reviews on glassdoor.com, a majority complain about the pyramid scheme business model. The positive reviews are few and far between and are clearly written by someone at the top of the pyramid. Although the opportunity to get a job in college that pays well above minimum wage is alluring, it is nearly impossible to make a livable wage at Vector Marketing. Those who have already fallen into the trap of a pyramid scheme and its blind promises should terminate their employment as soon as possible. A degree in actual digital marketing can be an immensely lucrative and creatively fulfilling career path. There is also no shame in working a run of the mill minimum wage job while attending college. However, there is shame in participating in a pyramid scheme like Vector Marketing. Great work here! This is great information for college students. The most they might have seen from MLMs are the lies posted to social media by those faking til they (don’t) make it!